“Old School” doesn’t begin to describe the atmosphere at El Credito cigar factory. When you step inside, it seems almost as if you're going back in time. Cuban folk songs can be heard through the building, and there's no "modern" offices in the facility. 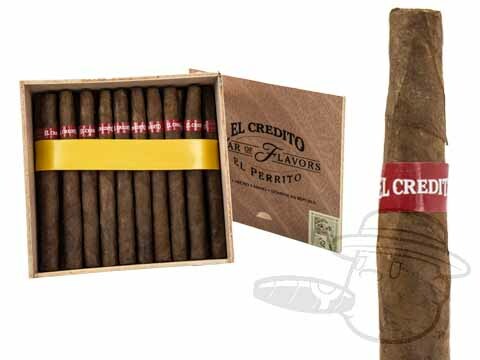 It’s really no wonder that the “old-world” flavor of El Credito cigars originates there. Handmade by the same expert rollers who bring us La Gloria Cubana and El Rico Habano cigars, El Credito El Perrito War of Flavors is like no other cigar you've ever tasted. These slim stogies are hand-rolled without molds to match the cigars that torcedores and factory workers roll for themselves to smoke on their breaks. As you can well imagine, these are some robust, peppery, no-nonsense smokes that pack a deliciously full kick.